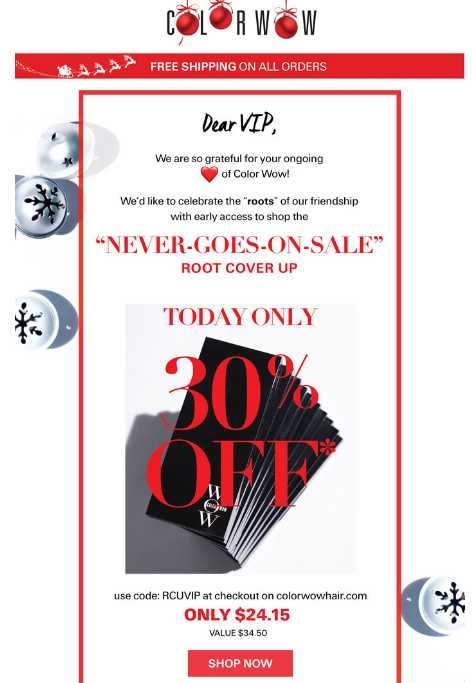 @saragh 30% Off on Root Cover Up at Color WOW. This deal works as described simply enter the promo code RCUVIP in the box at the end of the purchase to get your discount. Expires 11/24/17.